This week has been full of detours and distractions. Last week it was near 90 degrees almost everyday with summer trying to hang on until the last day possible. This week we wake up and it's a daytime high in the 40s. I think we've gone from summer to near winter overnight. Plants outside had to be cleaned, pruned and brought inside. My sunroom now resembles something similar to a tropical forest. Quilting and gardening they go hand-in-hand. My mother had some health scares and required our attention and some overnight stays at her house. While I was happy to do it and spend some time with her, it did take away from my schedule and plans. But there's always Plan B! I'm pretty adaptable since I am self-employed and work from home. Last weekend we picked up my new ScanNCut cutting machine. My old machine was not wireless and with the new features in the latest machine, I splurged for the "big dog." I'm looking forward to using it and spent some time reading the user's guide while sitting with my mom. She was looking over my shoulder at the new features as I reviewed some videos on YouTube. I think she'll be over to play with the machine soon! I got everything unboxed yesterday only to discover that Brother has a new update to the machine already. 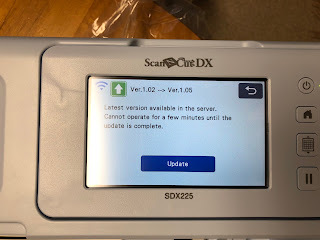 I spent a good deal of yesterday morning connecting it to our wireless network, registering the machine, and downloading the update. Haven't had time to listen to how quiet the machine runs. Finding some time to actually cut something will have to come this weekend. I also added a new 24-inch mat and am looking forward to loading it up with appliques for my next project. Stay tuned! I'll be posting more pictures and more reviews about the new machine. I'd love to hear if you have purchased the new ScanNCut cutting machine or have any experience with it. Tell me about it in the comments below.. 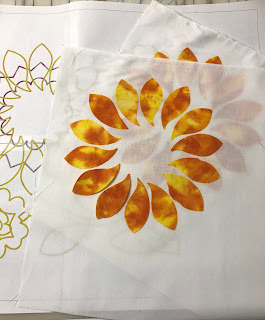 I thought I would share with you today how I created my adapted sunflower quilt block in Art and Stitch. Art & Stitch Plus (for embroidery) contains Accuquilt Go! shapes folder under the library. I have AccuQuilt dies number 55007 and 55042. That gives me a good start on the applique shapes for this project. I pulled the shapes I wanted to use from both dies and added shapes from the Art & Stitch shapes folder under libraries to complete my project. I am using a combination of AccuQuilt Go! die shapes and Art and Stitch Library Shapes. With my pattern handy for reference, I drew a 12 inch square. I'll use this square for reference in placing my shapes. I also draw a small half-inch or 1 inch square for test cuts on my Scan N Cut cutting machine. Once you have laid out your block you can delete any remaining shapes. You no longer need them. I save this file as an ANS working file. This is my master reference file. 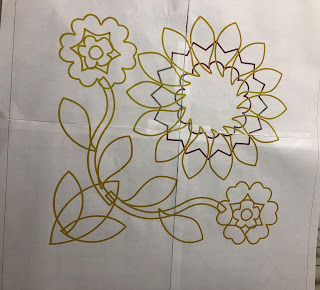 Assign thread colors to your applique shapes. Next I divided the file shapes according to color or fabric assigned. Place these separate colors in separate files and Save. These will be the files saved in SVG or FCM (Brother native) format. Save in the appropriate extension for your cutting machine. Now back to the master file. I began by coloring in my applique shapes. 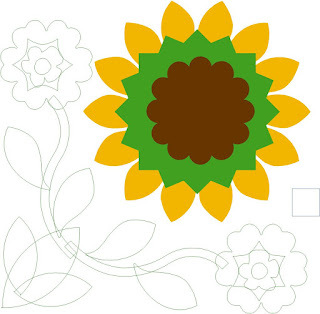 For example, select all the sunflower petals and color yellow. Under the Properties Panel be sure to check the fill box and click apply. Repeat on all applique shapes to fill in color. This is only for reference and will not be saved as a stitch or applique file. I will use this in electric quilt as a "photo" block. 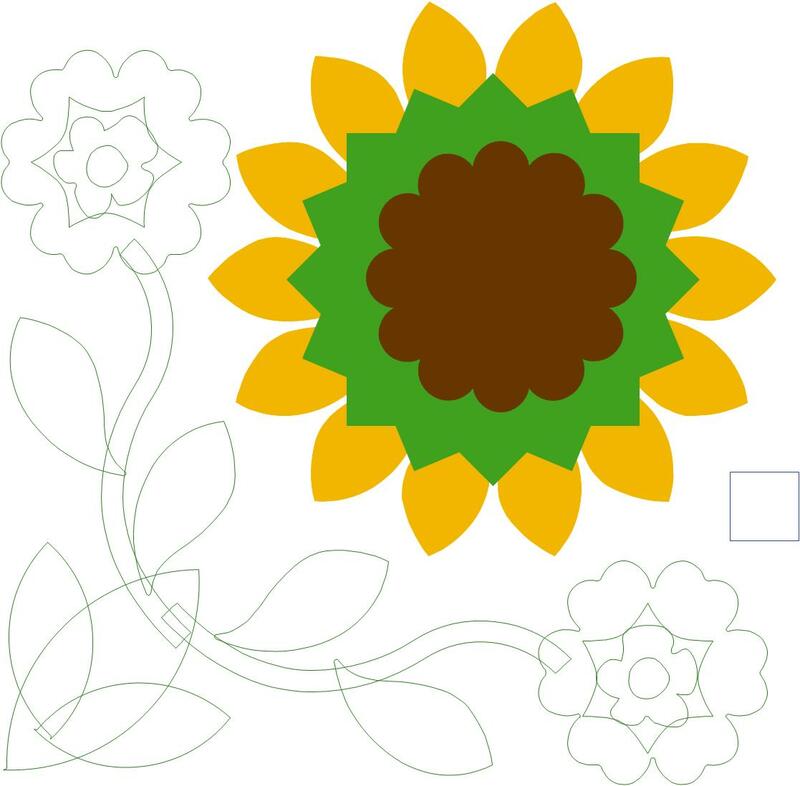 If portions of your flowers seem to disappear when coloring remember you can bring them forward (everything's in layers) by changing their order in sequence View.The largest pedal on the sunflower should be first (or behind) the two center shapes. When complete, click the File tab and Export Image and save the file as a JPG or BMP map. Unclick the EXPORT BACKDROP box if you used a picture of your block from the pattern to help line up your applique shapes. Or you may use your Windows Snipping tool to save the image. Either way will work. Just remember where you save any files on your computer. Last step is to print the block outlines to use as a placement guide. Back to your master file. Select the artwork and under the Properties Panel enter a 2 in the Pen Width (mm) box. Click APPLY. This should give you nice bold outlines. Now select the PRINT icon on the upper horizontal toolbar. A preview should appear and click PRINT. You should get four pages. Use the dotted lines on the pages to align and tape. Now they are ready to use as a placement guide for applique on your blocks. Next time we'll talk about setting the quilt up in electric quilt. After reviewing the Accuquilt pattern and my available Accuquilt dies, I went to my Art and Stitch program to start designing. I didn't own all the dies listed in the pattern so I added a few additional shapes from the Art and Stitch library Shapes folder. Using the backdrop tool, I layed out the shapes for the sunflower blocks. Then over to Electric Quilt 8 to do some color and fabric mock ups. See my previous post for pictures and links to the free pattern. Now to get started with fabric selection and cutting out all those shapes! There were A LOT of sunflower petals! So I saved my SVG shapes, laid them out in Canvas Workspace to cut more efficiently. And VOILA! Sunflower petals! 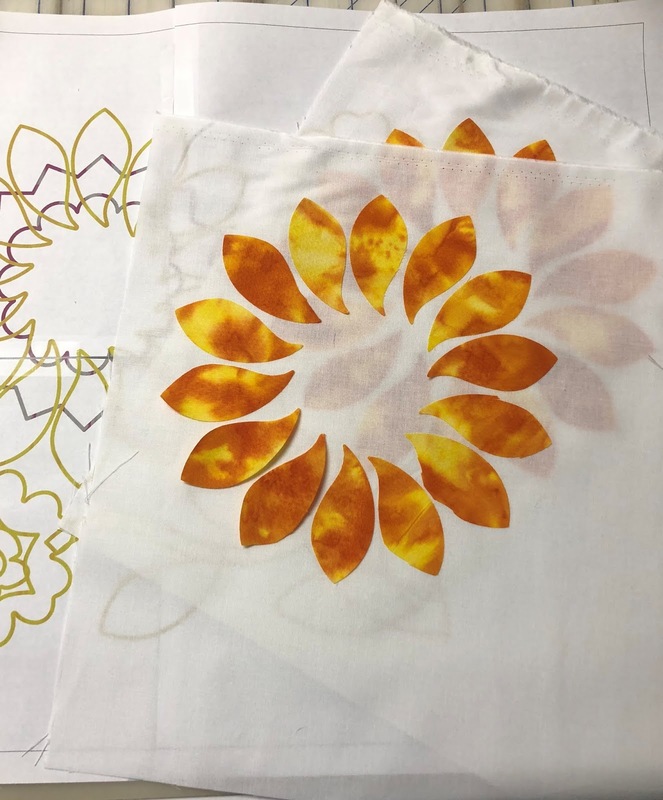 All my fabrics were backed with Heat-N-Bond Light fusible available on my website. Next it was back to Art and Stitch to print out my 12 inch (finished) block. It printed on 4 pages. Line them up. A little tape and we're ready to start placing applique. If you have a light box, it's even easier. I adjusted my lines under the Properties menu of Art and Stitch to make nice fat lines that were easy to see. 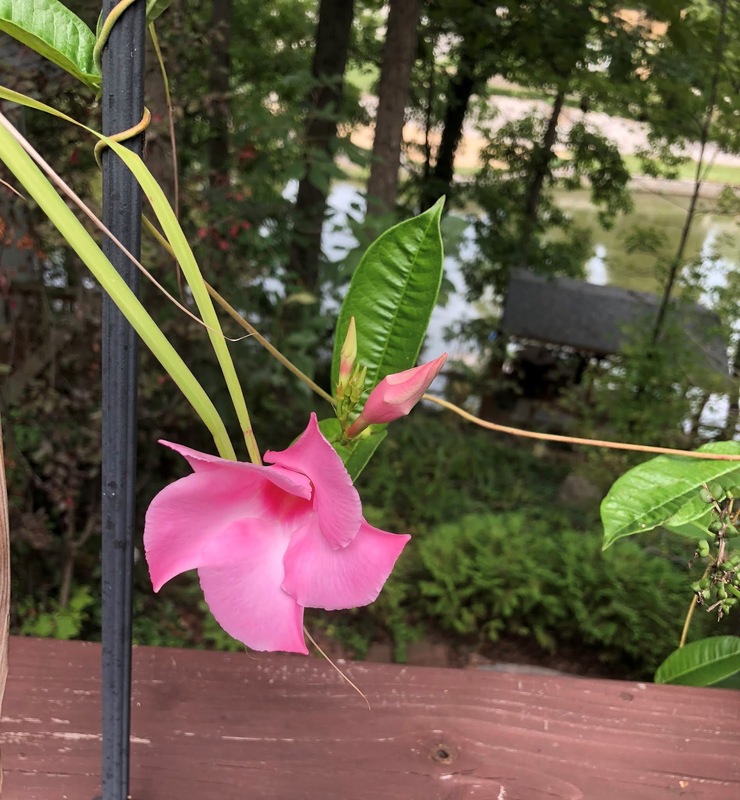 OK. Fused petals! We're on our way! More in next post! We have a farm near our home that grows sunflowers. This time of year the field is full of beautiful yellow heads. It makes quite the stunning photograph. So you can imply that I love Sunflowers. Well, yes, yes I do! Earlier this year I posted on my Facebook Page a link to a FREE pattern from AccuQuilt . I wanted to try my own version of it, since I don't own all the AccuQuilt Dies used in the pattern. 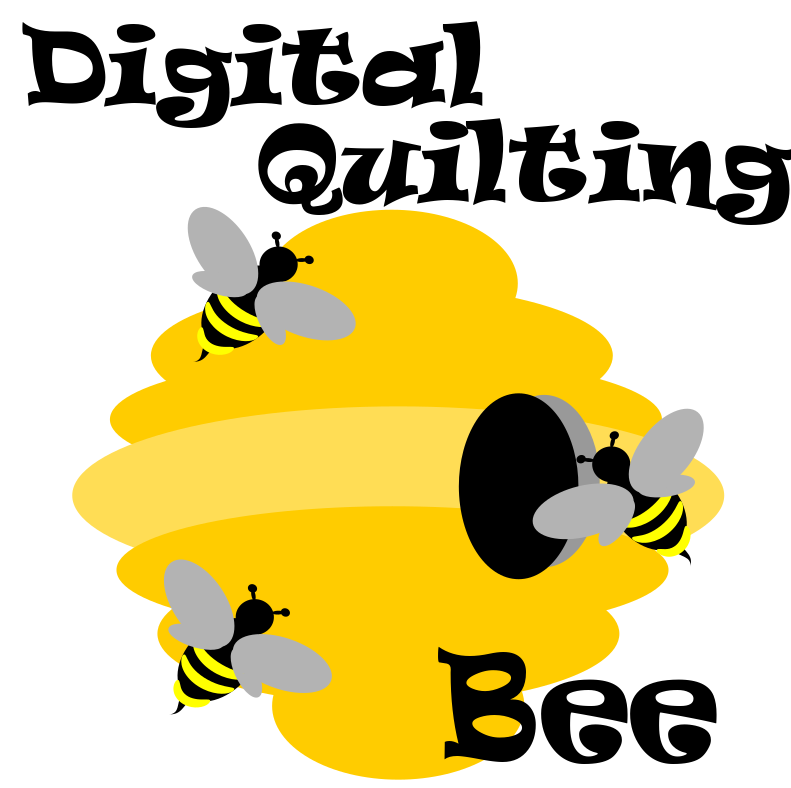 But I do own #ArtandStitch and #ElectricQuilt and a Brother #ScanNCut cutting machine! 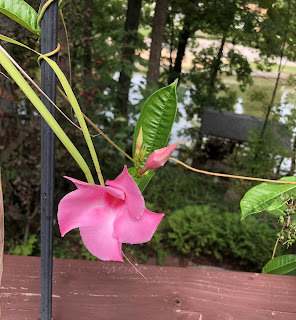 There have been things to attend to this summer, but I've tried to get a start on this project of my own. Follow along with more blog posts here as I progress and pick out fabrics to get started and hopefully complete this lovely wall hanging before the snow begins to fly! So signup and Follow Along. I'd love to see your version if you'd like to sew with me! 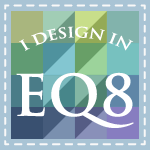 Have you EQ'd today? There's sooooo many fun creations waiting for you with Electric Quilt. Start something today! Look for my entry and submit your own!